Q: Are you a scratch player? A: I sure am—every time I hit the ball I scratch my head and wonder where it went. 18Birdies is not just about connecting with friends, we are also extremely passionate when it comes to improving our game. With the new practice mode in 18Birdies, record your time spent on the practice green and driving range, and view summary stats to see how you are progressing over time. 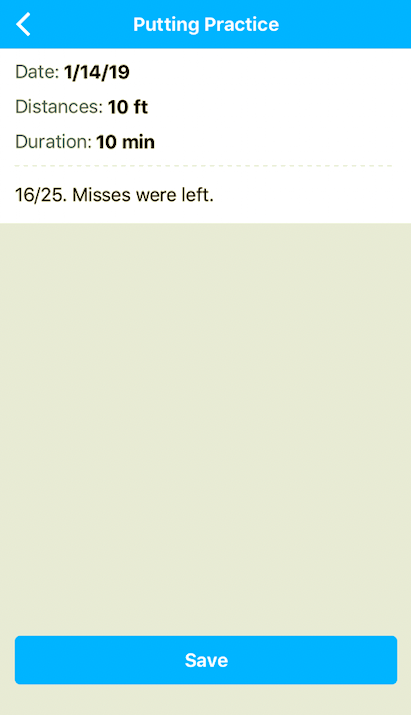 Your options for putting are simple; select the date and time spent practicing. 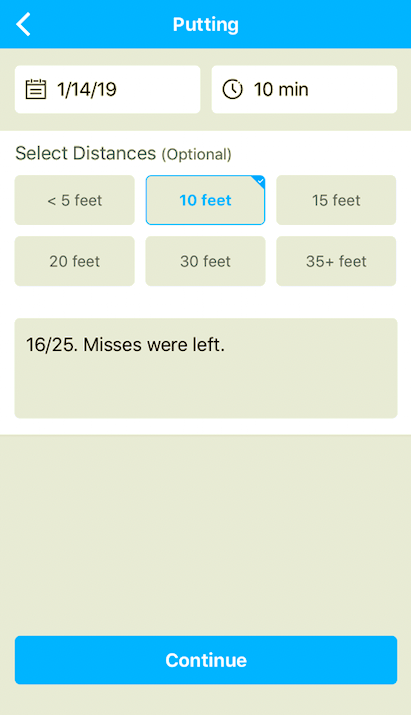 Next, select the distances (you can select multiple lengths) from which you practiced. The most important section here is the notes. 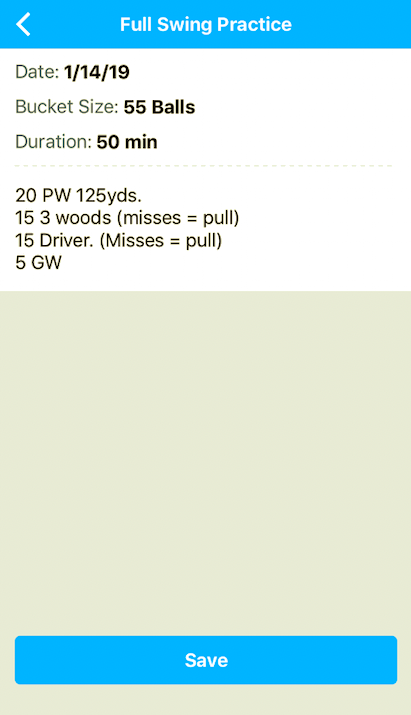 Putting is a tedious element of the game to practice, so be sure to record detailed notes on your results. 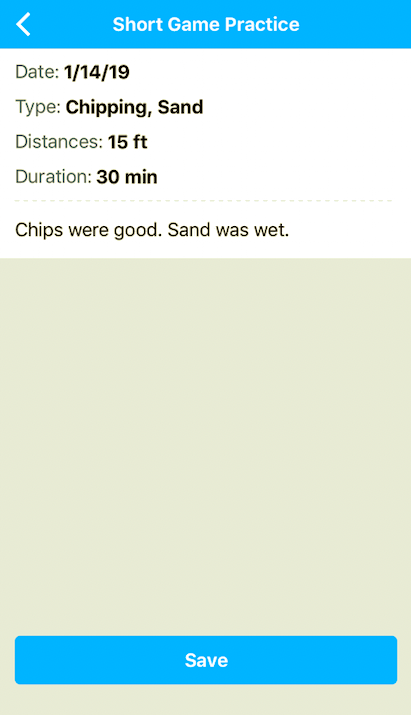 Chili Dip. Yips. Chunk. Blade. Skull. 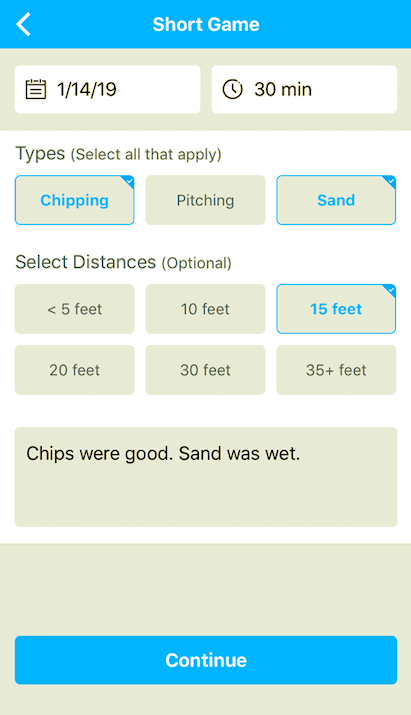 Your options here are similar to putting with the exception of the added categories for Chipping, Pitching and Sand shots. 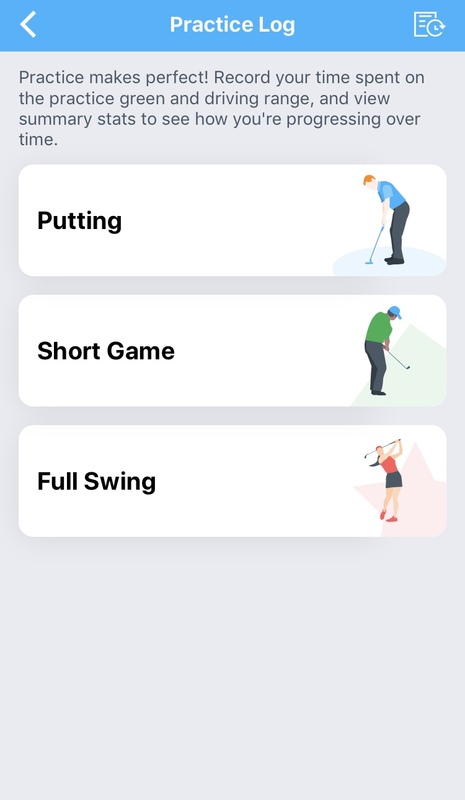 Be sure to select each of the categories for the different shots you practice. Being as detailed as possible with the categories will feed directly into your overall Practice Stats. You can select multiple option for both Type and Distance, so now there is no excuse around the green! Hitting Out of the Bunker! Are you a 'Ready, Fire, Aim' type of golfer? Some say that dedicating work on the driving range is where all the magic happens. We tend to agree with this and as such, we find it extremely valuable to track range sessions, what was being worked on and what needs more practice. 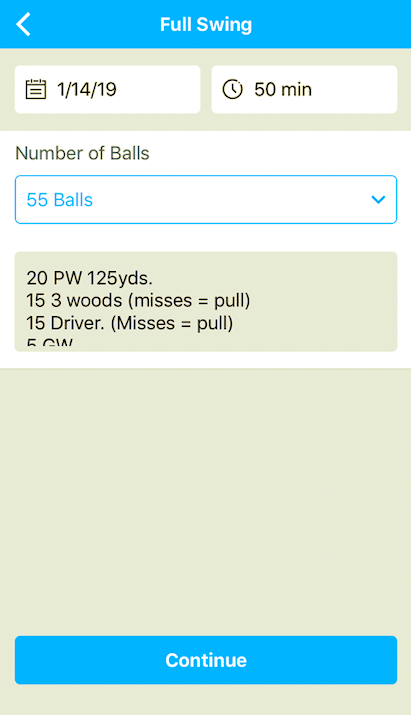 Whether it is a quick 20 ball warm-up bucket or a gritty 100+ ball bucket, use the Full Swing Practice Tracker in 18Birdies to track progress and help improve your overall game.